ARDE Barinco, Inc. a wholly owned subsidiary of United Technologies Corporation based in Carlstadt, NJ, is proud to announce the availability of the Model CJ-2A Reversible Homogenizing Mixer with an integrated control panel and parameter measurement system. 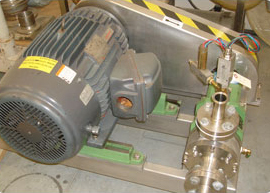 The control panel is able to vary the speed of the mixer along with changing the direction of the mixing impeller. 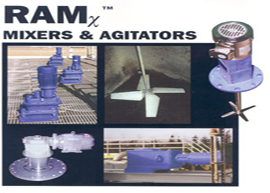 By reversing the impeller direction, the directed flow through the rotor housing switches from the upward pumping action known as the up-mode to the downward pumping action which is called the down-mode. The down-mode is very capable at producing a vortex like action that quickly and positively draws floating powders down into the high shear zones for complete and quick dispersion. 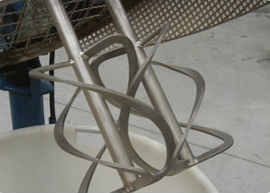 No lumps or agglomerations are allowed to form so they do not need to be polished out via high shear. This allows the dispersion of many shear sensitive powders since the time required for complete dispersion is very short. If additional high shear is desired….such as for dispersion of tiny solid powder agglomerates or the propagation of oil or water droplets in an emulsion, then the up-mode is utilized at full speed for the highest shearing rates. 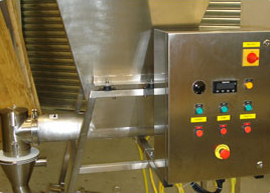 An adjustable baffle plate is located below the surface of the liquid to minimize aeration and maximize mixing in all areas of the process vessel. 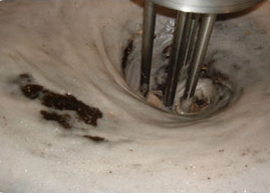 Finally, the down-mode can also be utilized to resuspend settled solids by directing a high velocity flow onto the bottom of the process mixing vessel. Both actual RPM and amperage draw are measured and separate L.E.D. displays. These parameters are essential for scale-up calculations. The Model CJ-2A is installed with the optional Power Lift that raises and lowers the mixer in and out of a batch with push button control. 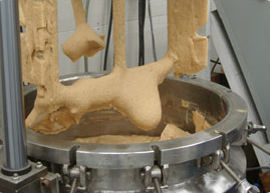 The Reversible Homogenizing Mixer is designed and built by ARDE Barinco in Carlstadt, NJ. 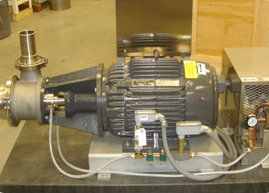 Scaled-up versions as large as 100 HP capable of processing 10,000 gallons and more are available. 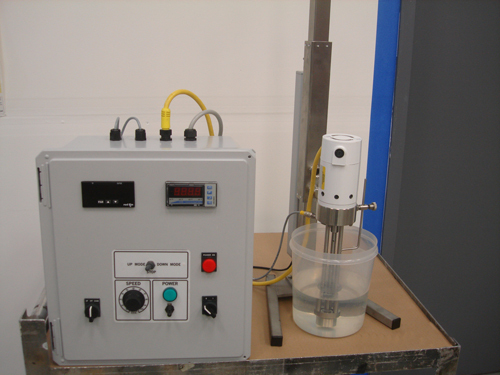 All results obtained by the Model CJ-2A laboratory mixer can be scaled-up to full size production capability.